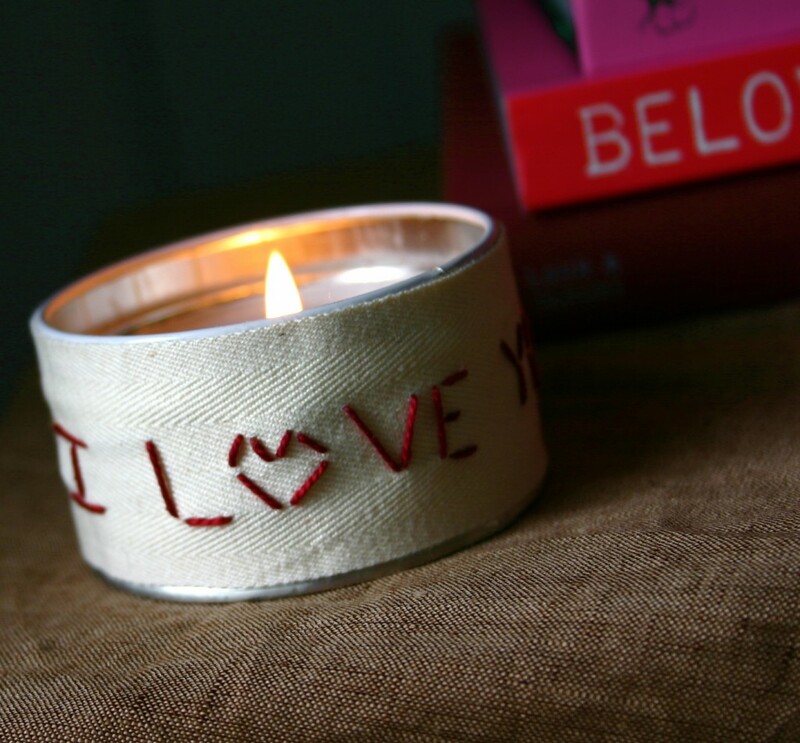 This Valentine’s Day, dress up inexpensive candle tins to give as a burning reminder of your love! These make great Valentine's Day gifts for teachers too – have your kids help. To begin, you will need a candle tin – I picked mine up at Michael's for $1.00. I wrapped my tins in a cotton twill tape (available at fabric stores). 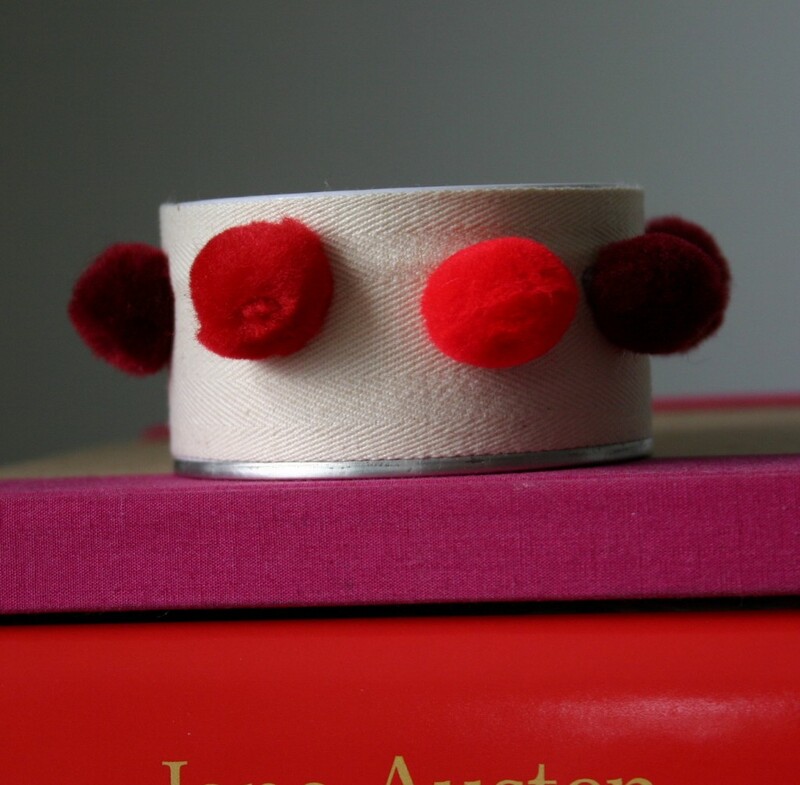 For this design, I hot glued cotton twill tape to the tin, then I hot glued craft pom poms to the twill. You can find craft pom poms at Michael's or Jo-Ann's – or you could glue on buttons. Add a message to your candle by slipping twill tape into an embroidery hoop and – using a simple stitch- say what you feel. Instead of hot gluing this one on, I stitched the ends closed with three cross stitches so that the cover could be slipped off and reused on another tin when this candle was used up. For this design, I wrapped the tin with yarn and tied ends together to secure. Make sure you wrap the yarn so that it is tight. I love your ideas. They are simple quick and very cute! I saw your vase in Country Living.